Dimensions 0.50 by 9 by 11.50 in. Amazon.com description: Product Description: A #1 New York TimesÂ bestseller that's a Christmas must-read! From Jean Reagan and Lee Wildish, creators of the bestselling HOW TO... series, comes a delightful new offering, written again in a hilarious instructional style. 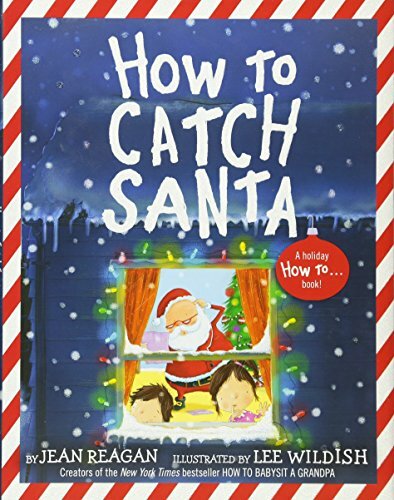 Two sibling narrators give clever tips for âcatchingâ Santa (be crafty! be clever! be gentle!) on Christmas Eve. Filled with humor and holiday warmth, this is a jolly read-aloud for the whole family to enjoy! And don't miss Jean Reagan and Lee Wildish's How to Raise a Mom and How to Surprise a Dad! About: A #1 New York TimesÂ bestseller that's a Christmas must-read! About: A #1 New York Times bestseller that's a Christmas must-read!